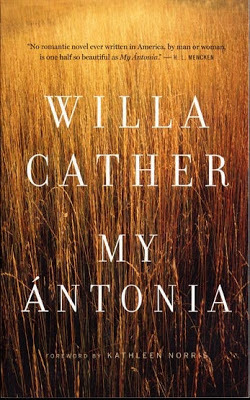 My Ántonia by Willa Cather, originally published in 1918 is the story of Ántonia Shimerda, a Bohemian immigrant to the Nebraska prairie in the early days of western settlement. Written by the fictional narrator Jim Burden who first meets her when he is ten years old. Recently orphaned, he travels by train from Virginia to Nebraska in the company of a hired hand. On the same train is Ántonia's family, poor and ill-equipped for the mental and physical hardships that await them. As their life paths intersect and diverge again and again, the beautiful lifelong friendship between Jim and Ántonia survives against the odds. 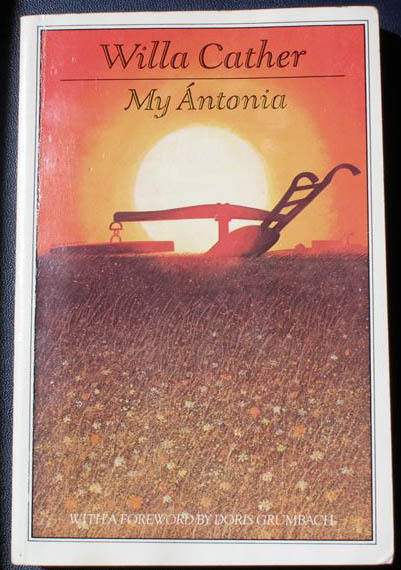 Although Ántonia is the title character, it is the bond between she and Jim that resonates with me as the central focus of the novel. 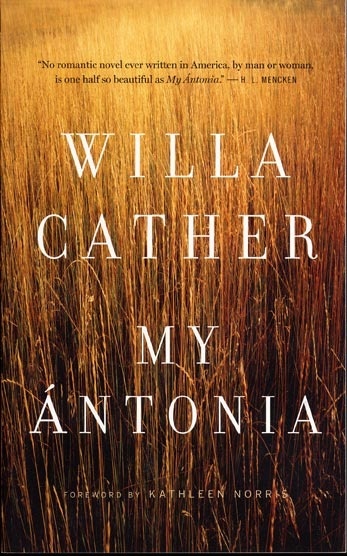 There is a beautiful poignancy to the arch of their relationship, and the way Jim and Ántonia care so much for each other with unrelenting dedication regardless of barriers of language, gender, social class and education. The land is the country, and the country is the nation. For it is on the shoulders of these early pioneers that America was built. 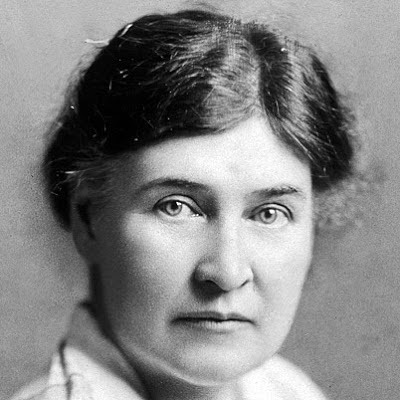 Willa Cather tells the story of these pioneers from the inside, for we become part of the community of farmers and townsfolk who survive together to develop lives a little less difficult than their predecessors. This was a novel that felt like a letter from the past. It was easy reading full of fascinating characters, peppered with lovely descriptive passages of the land, and riveting stories that became like a mythology of the growing country. I loved the stories the characters tell - I was riveted by the story of Russian Peter and the wolves! - and the histories Cather gives to many characters that extend beyond the time and space of the novel. But above all this loveliness and truth are the characters of Jim and Antonia who are so real, so true and so beautiful.